Employers are required to pay both state unemployment payroll taxes (SUTA) and federal unemployment payroll taxes (FUTA). The percentage of the SUTA tax varies from state to state. However, it is always a simple percentage of the employee’s pay up to a yearly earnings limit. It’s important to calculate SUTA taxes in conjunction with the FUTA tax. Doing so will allow you to get a credit that reduces the FUTA tax based on how much SUTA tax you pay. Check the employee’s year-to-date earnings. SUTA taxes are paid only on the first $7,000 of an employee’s annual wages (as of 2010). If the employee has exceeded the limit, it is not necessary to calculate SUTA taxes. The same limit applies to FUTA taxes. Refer to your state’s payroll tax instructions to find the percentage of the employee’s pay you are required to pay in SUTA tax. Your rate may vary since states adjust the rate depending on how many valid unemployment claims are filed by workers who have been laid off or dismissed. You can get the required forms from your state Department of Revenue or Department of Labor. Calculate the amount of SUTA tax for the employee. Multiply the percentage of required SUTA tax by the employee’s gross wages (including all tips, commissions and bonuses). For example, if your SUTA rate is 5.4 percent and the employee‘s wages are $400, your SUTA tax for that employee is 5.4 percent of $400 or $21.60. 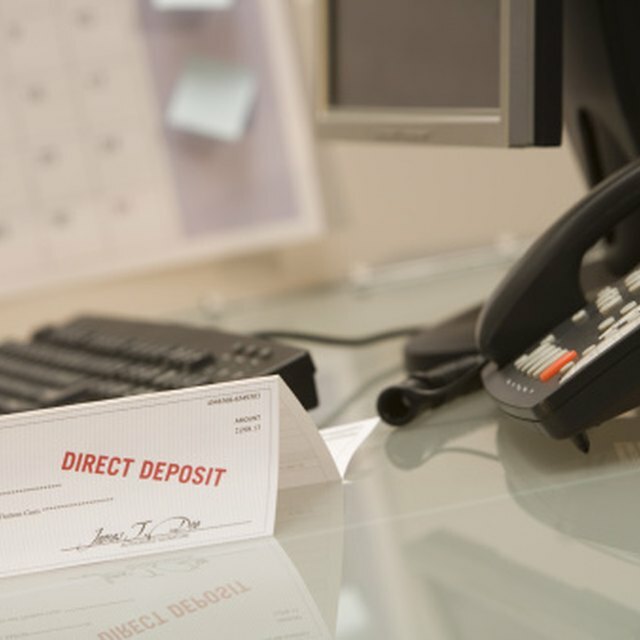 What Is OASDI on a Check Stub? How Does the Payroll Process Work? Calculate the SUTA tax credit to be taken against your federal unemployment tax obligation (FUTA tax). The nominal 6.2 percent FUTA tax can be reduced by as much as 5.4 percent. Using the example from Step 3, you would take the maximum 5.4 percent credit, leaving a minimum FUTA tax of just 0.8 percent. Using this example, your FUTA tax for this employee is only $3.20 instead of the $24.80 you would pay at the 6.2 percent rate. Remember, SUTA and FUTA taxes may not be deducted from an employee’s pay. The employer is responsible for paying them. The FUTA tax rate of 6.2 percent was slated to decrease to 6.0 percent after 2007 but was extended. Check IRS Publication 15 (Circular E) to find the current rate. Also, although the $7,000 earnings limit on SUTA/FUTA tax has been constant for some years, it is subject to change, so check for the current limit. Remember, SUTA and FUTA taxes may not be deducted from an employee's pay. The employer is responsible for paying them.